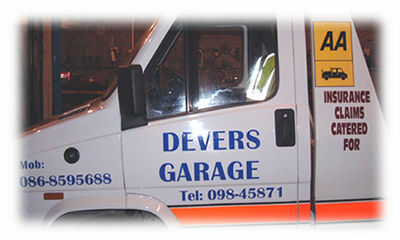 Signs, plaques, decals, nameplates, signage and lettering for buildings and vehicles in Ireland. Achill Signs offers a wide range of digital print services to create signs, banners, decals, fleet graphics and other printed solutions. Our modern digital printing equipment can handle simple or complex graphic designs and provides full colour printing onto a variety of materials, including vinyl. Vinyl signs can be used for both interior and exterior signage, and can be attached to materials including wood, metal and glass. Exterior vinyl signs will last for several years without peeling or colour fading - a distinct advantage over painted graphics. This makes vinyl signs and lettering ideal for fleet graphics on vehicles such as cars, vans, trucks, lorries, trailers, boats and motorbikes. Vinyl signs can also be used for outdoor directional signs, shop window graphics and shop front signage of all sizes. Achill Signs can provide professional quality vinyl banners up to several meters in size, sufficient for the widest of shop fronts. In 2002 Achill Signs took delivery of state-of-the-art digital printing equipment which allows us to offer professional quality design and print services. We can take your existing logo or design - or create a new one for you - and digitise it in preparation for printing at a consistent quality across a range of different sizes and materials. 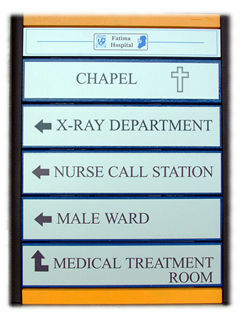 We can provide design and layout for signs of all shapes and dimensions. Achill Signs has a selection of thousands of fonts and typefaces which can be used to make your signs and graphics as distinctive and eye-catching as possible. 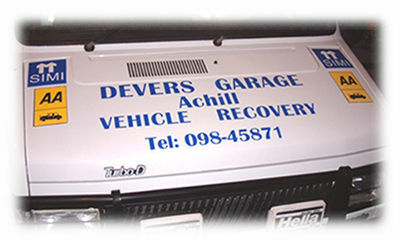 Contact Kieran Sweeney at Achill Signs today to see how modern digital technology can help create unique, versatile and long-lasting signs and graphics for you and your business.